This article first appeared in ASU News. The weekend is hosted by SIFF, the non-profit film organization that runs three year-round cinemas, as well as the Seattle International Film Festival, the largest, most highly-attended film festival in the United States. The panel will take place from 7-9:30 p.m., Jan. 24. The “It’s Alive: Frankenstein on Film” weekend explores the variety of worlds that have evolved from Mary Shelley’s classic monster tale through the panel of ASU researchers; a “Cinema Dissection” event with film critic Robert Horton on the classic film "The Bride of Frankenstein" (1935); encores of the live-filmed version of Danny Boyle’s stage production, starring Benedict Cumberbatch and Jonny Lee Miller; and screenings of the films "Frankenstein" (1931), "Young Frankenstein" (1974), "Flesh for Frankenstein" (1973), "Abbott & Costello Meet Frankenstein" (1948) and "Frankenweenie" (2012). “Working with the Frankenstein Bicentennial Project on this weekend of programs is the perfect fit for SIFF. It not only fulfills our mission to explore the intersection of entertainment and education, but affords us the opportunity to curate a diverse selection of 'Frankenstein'-inspired films, all of which are truly a joy to experience on the big screen,” says Clinton McClung, cinema programmer for SIFF. 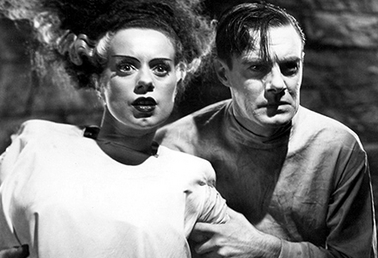 At the panel, researchers from ASU’s Frankenstein Bicentennial Project will delve into the cultural history of Mary Shelley’s novel, its ethical, scientific and artistic legacy, and the numerous film adaptations it has provoked. Clips and discussion topics covered in the panel include the origin of the "Frankenstein" story, the changing look of the monster over the years, the first film adaptation of the tale in 1910, comedic and family-friendly adaptations of the "Frankenstein" myth and questions of ethics, scientific creativity and social responsibility that still resonate today in settings ranging from laboratories and government oversight hearings to films such as 2010’s Splice. Other speakers featured on the panel include Peter Lehman, director of the Center for Film, Media and Popular Culture, and Joey Eschrich, editor and program manager for the Center for Science and the Imagination. The entire “It’s Alive!” weekend is open to the public. Tickets for the panel are $12 each, or $7 for SIFF members. For more information and ticket sales, visit siff.net/cinema/frankenstein-on-film.